Batman: Arkham Knight is an upcoming action and adventure video game developed by Rocksteady that is set to be released in June in the year of 2015. It is, of course based on the superhero ‘Batman’ created by DC comics. This installation is set a year after the events of ‘Batma: Arkham City’, and follows the Batman’s story after the defeat of Joker. In a way it is like a new sequel or chapter to the Batman’s life story. This video game story is also set at a much later time in the Batman’s life. Hence, there will no doubt be changes to the game in terms of world settings, environments, gadgets, as well as the Batman’s own abilities. The basic premise of ‘Batman: Arkham Knight’ is that, now that the Joker is gone, the rest of the former villains of Gotham City are grouping together in order to cause mass mayhem and destruction in the city and to finally destroy the Batman. 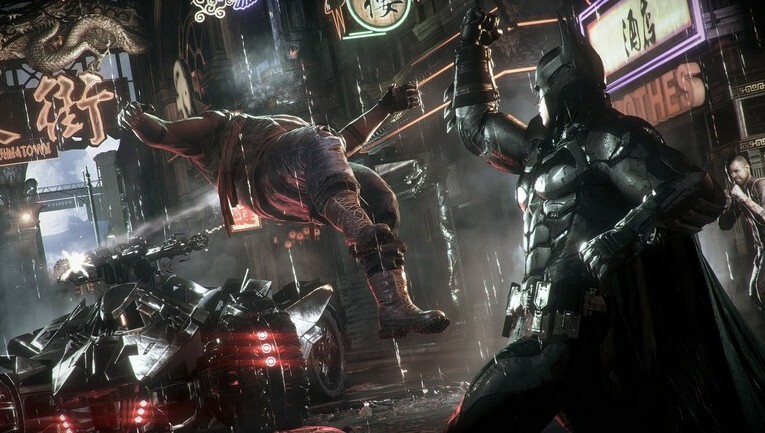 As this video game is set quite a bit later in the Batman’s life – and after the Joker – there are plenty of changes to Gotham City (the city and world of the Batman), and the Batman himself has acquired many shiny new toys that have wonderful fighting impact. And that’s not mentioning even the fact that the caped crusader too has enhanced abilities. In fact, he has trained both physically and mentally even harder now, and is set up to be at the highest point of perfection that a human being can be in, in terms of mental and physical strength and capabilities. And yes, he is an expert martial artist too. In Batman: Arkham Knight, Batman is assisted by both Barbara Gordon, Commissioner James Gordon’s daughter, as well as Commissioner James Gordon himself. Barbara Gordon isn’t the Batgirl here. Rather, she works at secretly helping the Batman as a hacker that goes by the name “Oracle”. The game developers have admitted that they have wanted to add more life into the character of Oracle in this installation, as they found her to be a thrillingly strong character and did not want the Oracle to be nothing more than a incorporeal voice within the game. In Arkham Knight, Batman will have to battle the combined forces of Scarecrow, Harley Quinn, Penguin, Riddler, and Two-Face. It has been indicated that they have grouped together under the (official or unofficial) leadership of the Scarecrow, but that remains to be seen. The villain, “Arkham Knight”, is supposed to have an “A” logo, which is said to represent the ‘Arkham Asylum’ institution. And as it wouldn’t be fun if only the Batman has enhanced abilities, the Arkham Knight too is a super villain who the game developers have described as a more “militarized” version of the Batman in this chapter of the video game. You’ll know him in the game thanks to the “A” logo of the Arkham Knight that is emblazoned on his chest. On another side, Gotham City is flourishing after the death of Joker. The people have never felt safer and criminal activities are at an all-time (wonderful) low. But the Batman continues his nightly rigid vigilance. The other criminals of Gotham City are regrouping together. And he knows it is just a matter of time before the next danger to the city arrives. ishing after the death of Joker. The people have never felt safer and criminal activities are at an all-time (wonderful) low. But the Batman continues his nightly rigid vigilance. The other criminals of Gotham City are regrouping together. And he knows it is just a matter of time before the next danger to the city arrives.